Growing demand for avocados is causing a spike in crimes in New Zealand. Thieves are targeting avocado orchards, with close to 40 large-scale thefts since January, reports The Guardian. 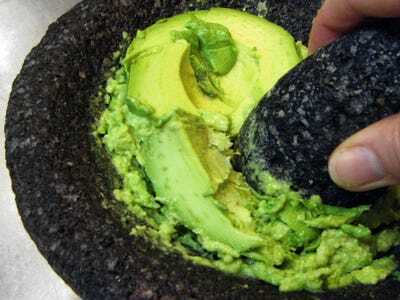 The thefts have taken place in the middle of the night, with as many as 350 avocados being taken to be sold at road-side stalls, grocery stores, or shops in Auckland. The rash of robberies comes as avocado demand surges, with an additional 96,000 New Zealand households beginning to purchase avocados in 2015, according to the trade organisation New Zealand Avocado. Typically, most avocado growers in New Zealand have focused on exporting their goods, making it more difficult to keep up with growing demand. The stolen food can be dangerous to eat, as they are unripe and may contain toxins from pesticides. New Zealand isn’t the only country where avocado demand is growing, resulting in consequences that range from delicious to terrifying. Tasty consequences include an upswing in avocado-centric creations. Avocado toast is going from trendy to a mainstream breakfast requirement, named the No. 1 trend in food in 2015 by Eater based on Google Trends data. Now, avocado roses are blowing up on Instagram, with nearly 5,000 photos of the carefully crafted treat under the hashtag. Then, there are darker consequences. In Mexico — the country that supplies an estimated 60% of the U.S.’s avocados — a violent cartel has taken control of the industry in the southwest state of Michoacán. The cartel earns an estimated $152 million from the avocado business, extorting local farmers and packinghouse operators with “taxes,” paid under the threat of death. Additionally, avocados take a huge amount of water to produce, taking resources from local communities, such as Chile’s Central Valley. So, next time you Instagram your avocado toast, remember: there’s more to the fruit than meets the eye.